Samsung just unveiled the much-rumored Galaxy Gear smartwatch, but that's far from the only new smartwatch about to hit wrists around the world. 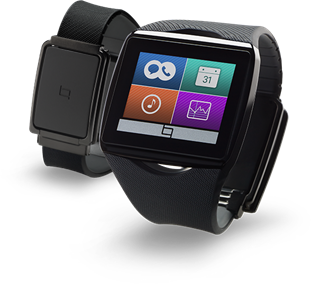 Qualcomm, the company best known for building the ARM chips powering most modern Android devices, has just announced the Toq smartwatch. 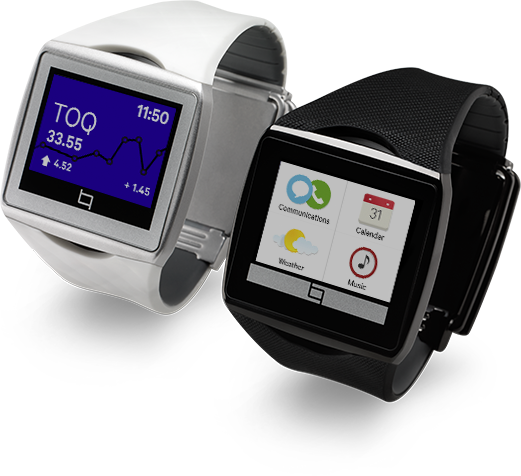 The Toq (pronounced 'talk') will be compatible with Android 4.0.3 and higher, but does not appear to run Android itself. Unlike the Gear, Qualcomm is promising the Toq will get multiple days of battery life from a single charge thanks to its Mirasol screen. Mirasol has been demoed at tradeshows for years, but has never seen a true consumer launch. This screen technology is very similar to eInk, but it is capable of displaying color and refreshes fast enough for fluid animation. Because it draws so little power, the Toq can be on at all times and Qualcomm (as if to prove its point) decided against including a power button on the watch. It will charge via Qualcomm's WiPower wireless charging standard (a competitor to Qi). 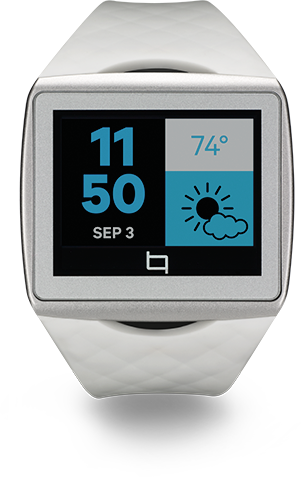 The Toq will allow users to manage calls, text messages, and various notifications on the watch. It's not clear exactly what will be natively supported, but there is support for the Alljoyn developer framework, so apps can build in support for the Toq. The device will connect to Android phones and tablets via Bluetooth, presumably 4.0 LE. A second "premium audio" edition of the Toq will include wireless stereo headphones. 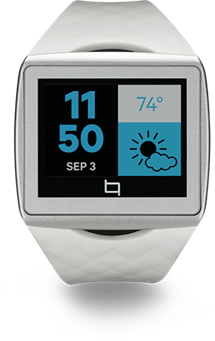 The Toq is being called a "limited edition smartwatch," so it might not be available much past the late 2013 release. No pricing information is available at this time. Full PR below. 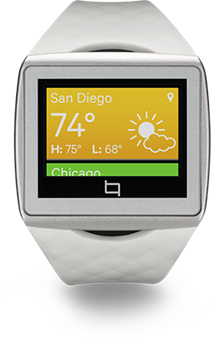 SAN DIEGO, Sept. 4, 2013 /PRNewswire-FirstCall/ -- Qualcomm Incorporated (NASDAQ: QCOM) today announced that its wholly-owned subsidiary, Qualcomm Connected Experiences, Inc., will release a Qualcomm branded smartwatch in Q4 of 2013. 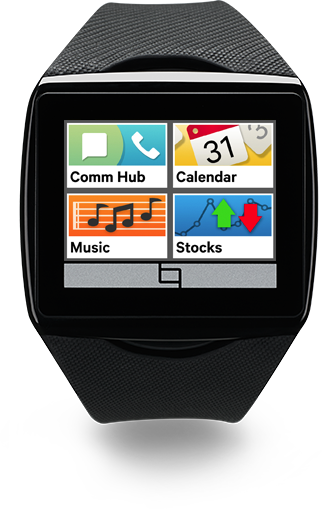 Designed to serve as a second display to your smartphone, the Qualcomm® Toq™ ('talk') smartwatch will feature proprietary Qualcomm MEMS Technologies, Inc.'s Qualcomm® Mirasol™ display technology, a revolutionary reflective, low-power display that enables an always on viewing experience, wireless charging by Qualcomm WiPower™ LE technology and a true stereo Bluetooth audio experience, all while offering its wearer long battery life with seamless connectivity to their smartphone. 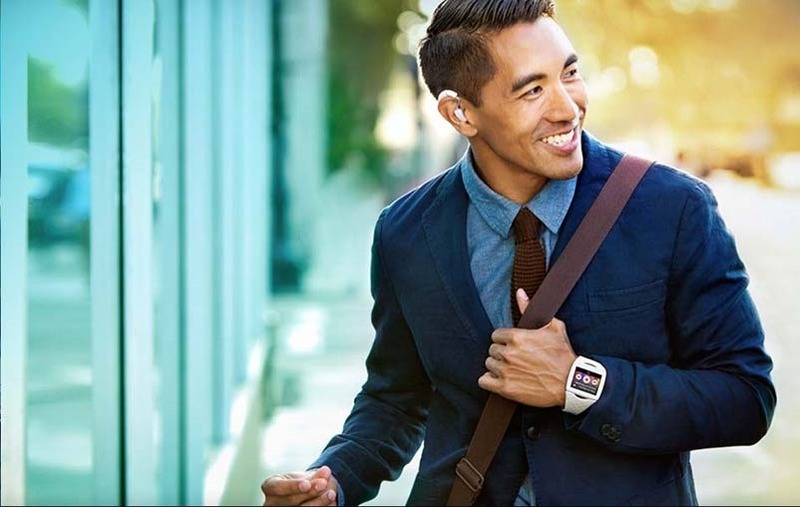 "Toq's always on, always connected, always visible wearable technology gives you a 'Digital 6th Sense,' telling you what you need to know, when you need to know it, with just a glance at your wrist or a whisper in your ear. 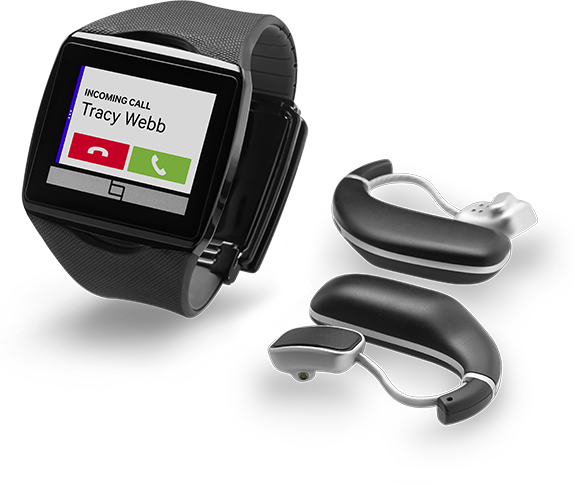 Toq is a showcase for the benefits of the Mirasol display, WiPower LE and stereo Bluetooth technologies and highlights the experience that the wearable category can provide," said Dr. Paul E. Jacobs, chairman and chief executive officer of Qualcomm. "Toq not only represents a long history of technological innovation for Qualcomm, but it also demonstrates our commitment to delivering the breakthrough technologies that redefine the ways we interact with each other and the world around us." The introduction of this limited edition smartwatch will feature the key technologies necessary to deliver unique experiences on wearable devices. 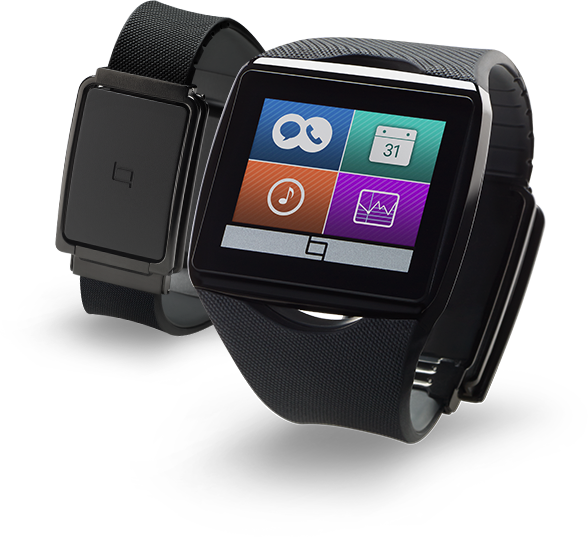 The color capacitive touchscreen display is always on – similar to a traditional watch – with days of battery life before the device needs to be recharged. In fact, Toq's power profile is so low that it does not require an on/off button. Recharging Toq is hassle-free, as it also is the world's first smartwatch to incorporate the Qualcomm® WiPower™ LE technology, enabling a true "drop and go" charging experience. 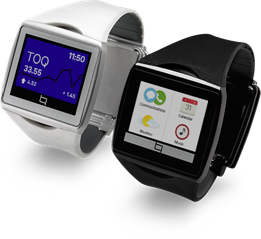 With Toq, consumers will be able to manage smartphone calls, text messages, meeting reminders and various notifications from their wrist. 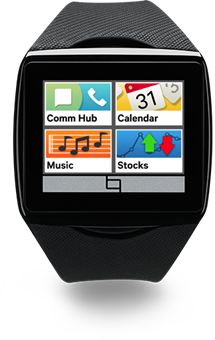 Developers also will be able to tap into Qualcomm Innovation Center, Inc.'s AllJoyn™ framework to send program notifications to the smartwatch through the Qualcomm Toq app, which supports the AllJoyn Notification Services Framework. 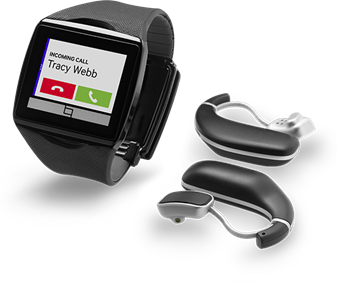 Qualcomm will continue adding functionality to Toq through software upgrades, including integration with Qualcomm Life, Inc.'s 2net platform and the recently announced 2net Mobile software. Toq provides participants of the 2net ecosystem the opportunity to deliver new, compelling ways for consumers to manage their health. Qualcomm Life and Qualcomm Innovation Center are subsidiaries of Qualcomm Incorporated. Toq also will be made available in a "Premium Audio Edition" that features the first truly wireless stereo headphones. This means no wires between the headsets for listening and no wires for recharging. 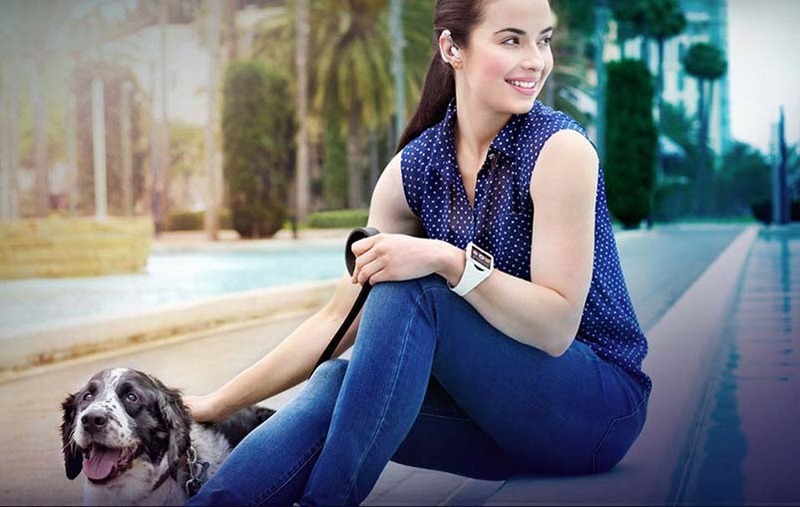 Another key feature of the headset is that it sits outside the ear canal for all day comfort and wearability. The Toq Premium Audio Edition features high quality stereo sound with a dedicated tweeter and woofer for superior wide band audio. Calls can be placed with the smartphone using either of the headsets. At launch, Toq will be compatible with Android™ 4.0.3 and above mobile devices. 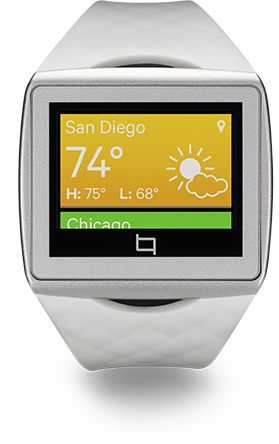 For more information about Toq, please visithttp://www.toq.qualcomm.com/.